What you are eating while you are preparing and trying to conceive can have a big impact on your egg health and fertility. But let’s face it, with today’s lifestyle, getting the nutrients that are necessary can be daunting. One of the most important factors in having healthy fertility is keeping your blood sugar level stable. The easiest way to do this is to make sure you have some protein in every meal you are eating. I realized this may be hard for most of you so I have found a great solution, and it’s called FertiliWhey Protein. FertiliWhey is a high protein supplement powder that helps you to get your daily protein everyday. Also, it does not contain the toxic hormones, artificial sweeteners, and flavors that many whey protein powders contain. If you are on the go but want to make sure you are eating optimally make sure to have this healthy option nearby. Breakfast Is The Most Important Fertility Meal Of The Day! Many health experts agree that breakfast is the most important meal of the day. But many people skip breakfast or sneak an unhealthy pastry and cup of coffee as they head out the door. Breakfast is the most important fertility meal of the day because it helps to balance your blood sugar levels and gets your metabolism going. Coffee and processed sugars are two of the anti-fertility foods you should avoid. As I mentioned before, keeping your blood sugar levels balanced is important for hormonal balance, reducing insulin resistance, and maintaining a healthy weight. It is important for you to supply your body with high quality foods to start out your day. One of the most popular ways to use FertiliWhey is to make a Fertility Smoothie. You can make a Fertility Smoothie quickly in the morning and take it with you on the go. Ensure that you and your family are not skipping out on the most important fertility meal of the day. Tastes great and has no added sweeteners. Contains minerals and digestible proteins. Sustains you for hours- unlike carb. based meals. 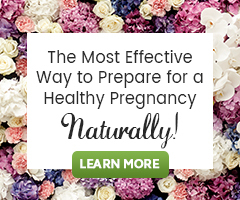 Helps you to follow the Fertility Diet easily! It is so easy to use this protein powder simply in juice, organic milk, or water. Use it as a snack while at work or in between meals. This smoothie was created to make breakfast easy. 1.4 C. -3/4 C. water or juice of choice fresh squeezed orange juice goes great! Whey protein is considered the most biologically active protein and easiest to digest. Having a healthy immune system response may help an overburdened immune system from rejecting the fetus. Whey protein is easier to digest than soy protein and does not mimic estrogen in the body. Whey contains glutathione (GSH) an important antioxidant in the body. Whey has also been shown to lower cortisol levels (a stress hormone). I always promote that any of the animal products you are eating in the fertility diet be free of hormones, pesticides, and antibiotics because they can wreak havoc on the hormonal balance and your immune system. The milk used in FertiliWhey Protein comes only from cows that have not been treated with bovine growth hormones, antibiotics, or chemicals. Know that you are eating the best Whey when you are eating FertiliWhey. My husband and I are both fighting fertility problems – I am 37 and have a very low egg reserve and my husband is 45 and has a very low sperm count and has some morphology & motility problem as well. We have a smoothie for breakfast every day, using 1 cup spinach + 1 cup fruit + 60ml yoghurt + 5ml maca powder + 5ml hemp seed protein + 5ml spirulina & ocean veggie powder + 5ml chia seeds + water and share it between both of us. We are both having 3 StaminaGrow vitamins every night and try to eat a healthy diet during the day. No carbs at night. We have gone for an ICSI IVF in December but it was not successful as the embryos did not implant. Is this enough to help boost our fertility? It is also important to know that carbs are actually important to eat. Consider Why Carbohydrates are Vital for a Balanced Fertility Diet. I hope this is all helpful! So I can not do Whey for I am lactose and gluten free… but I use a RAW organic protein. Is this ok as well? I should think that is just fine! Plant proteins can be used in place of a whey protein. I have been taking this protein powder pretty regularly however, I would like to know if I can continue to take it during pregnancy as well . Yes, FertiliWhey Protein Powder can be used in pregnancy and even while breastfeeding.